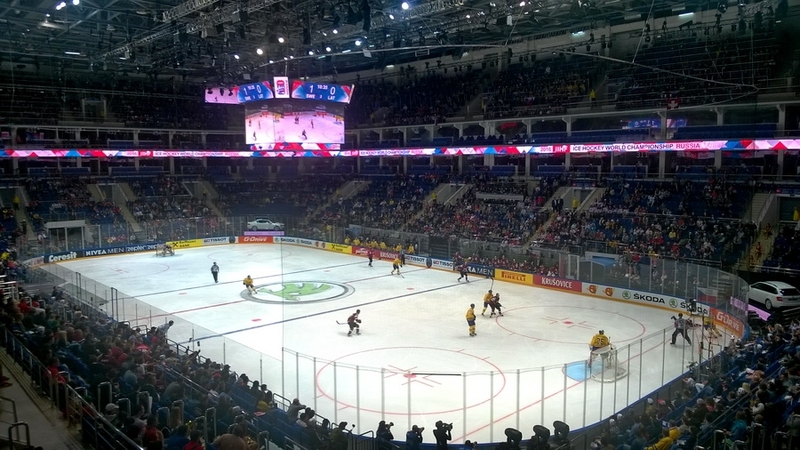 The jubilee 80th IIHF Ice Hockey World Championship kicked-off today in Russia again after 9 years. 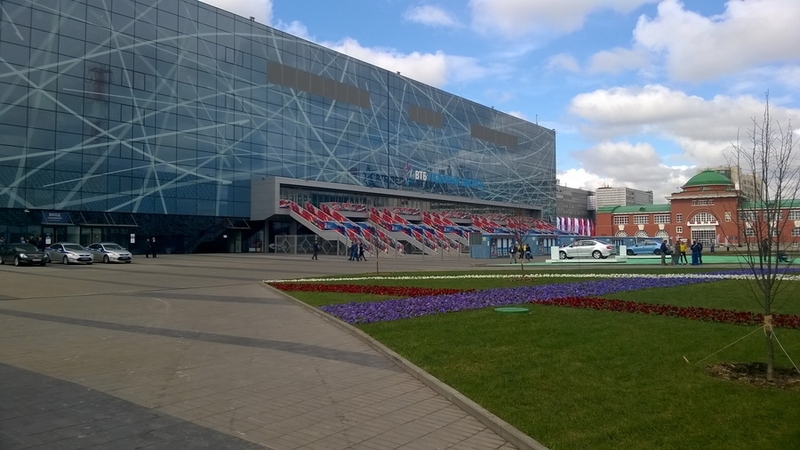 The hosting venues are the VTB Ice Palace in Moscow – the home for group A while Yubileyny Sports Palace in St. Petersburg hosts group B. Both venues were recently equipped with the Colosseo system and are fully prepared for the event with Colosseo support teams on site. VTB Ice Palace, a recently built ultra-modern sports venue with a capacity of 12.100 seats, is one of Colosseo’s most comprehensive installations. During finishing work on building construction in early 2015, Colosseo equipped the arena with a brand new center hung videoboard accentuated by an LED ribbon board, together with Interactive IPTV, digital signage, timekeeping with statistics and the indispensable Video Goal Judge. The heart of the whole system is the Single Media Platform with 24 live video inputs, a unique solution that manages, processes and distributes all multimedia content to every LED, TV and all other connected medias throughout the venue. Colosseo also supplied 33 turnstiles with access control system and ticketing system with seat visualization. Yubileyny Sports Palace also underwent a huge technology update prior to the championship with significant Colosseo contribution. To increase stadium safety and security during the event, Colosseo installed biometric face recognition turnstiles together with access control system. Face recognition system can detect and recognize the face of unwanted persons stored in the blacklist database in less than 0.5 sec. and prevents such people from entering the arena. The world championship often brings a lot of controversial goal moments and this is a job for Colosseo Video Goal Judge which was another part of the package for Yubileyny Sports Palace. Referees in both arenas now have a powerful tool to decide on the right call by using frame-by-frame deep HD video analyses with 500x zoom from desired goal cams. Additionally, our VGJ is fully integrated with OMEGA consoles - an official IIHF timekeeping provider during the championship and also compliant with IIHF requirements. After 5 years, Colosseo has again equipped both hosting venues of the IIHF World Championship with its technology and we are proud that after a smooth process in Kosice and Bratislava in 2011 and Prague’s O2 Arena last year, we can again be part of an important event like the IIHF World Championship in Ice Hockey.